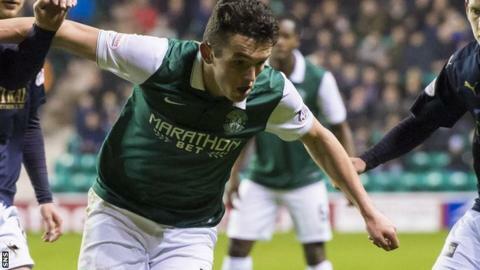 Hibernian midfielder John McGinn says ending a 114-year wait for Scottish Cup glory and becoming "legends" like the 1902-winning side is a huge incentive. The Edinburgh side, who have lost 10 finals since, face Dundee United in the first Hampden semi-final on Saturday. McGinn attended Hibs' last two finals, a 5-1 rout by Hearts in 2012 and a 3-0 defeat by Celtic a year later. "I know how much it annoys the supporters. They just want it, it is so coveted," he told BBC Scotland. "It is a massive incentive for the boys. They could become legends, like the ones in 1902. We are hungry to go and bring the trophy to Edinburgh. "We know it is not going to be easy. 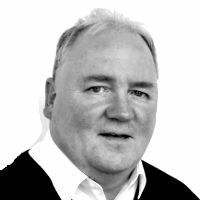 We are playing against a Dundee United side that has rallied in the second half of the season, and if we get through we have got one of the two big Glasgow clubs. "But the incentive is massive. It is something the club is craving, and rightly so." Hibs beat United 3-0 in the League Cup quarter-finals earlier this season, and McGinn scored the winner in a semi-final win over St Johnstone before their hopes of silverware were denied by a last-minute Ross County winner in the final. McGinn, who won the 2013 League Cup with St Mirren as an 18-year-old, is desperate to avoid a similar disappointment on the same Hampden stage where he impressed on his Scotland debut last month. "These opportunities don't come around too often, especially for the boys coming towards the end of their careers," he added. "You need a bit of luck and we don't want to let it pass us by. "I want another medal - I want to get as many as I can - but I don't fancy another runners-up one. Hopefully, we will get to the final and get a gold medal this time. "We know we need to be at our best and hopefully cut out the mistakes we have made in the last few weeks to give us the best chance to go and win this trophy." Tuesday's surrender of a 2-0 lead to Falkirk in the closing minutes was the latest setback for Hibs, who have taken just five points from their last eight league games to dent their promotion hopes. They have not kept a clean sheet since 21 February and McGinn admits he is mystified at a run of form that has included defeats by Greenock Morton, Dumbarton, Queen of the South, Raith Rovers and Alloa Athletic. "It's difficult to put your finger on it," he said. "We are conceding goals we were not at the start of the season, we are looking vulnerable and we are not scoring enough or making enough chances. "It's something as a team we have been working hard to rectify and for the large part of the game against Falkirk we managed to do that. "But we had two lapses in concentration and we got punished, and that's what's happened the past few months."